An enthusiastic group has been beavering away organising a regatta to follow the Wooden Boat Festival. 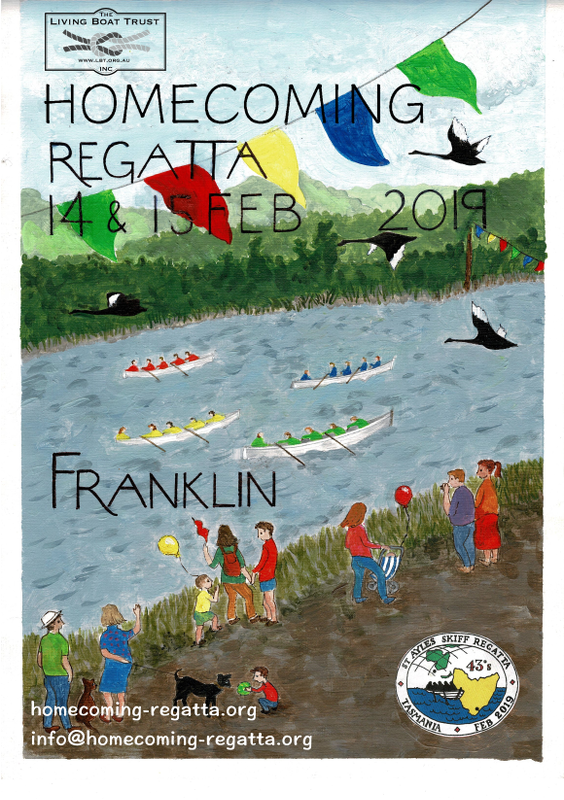 It will start on Thursday evening the 14th of February with the return of the fleet from Hobart (the 'homecoming'), and there will be lots of races and fun the next day from morning right through to finish with a lit boat parade. There is a website, homecoming-regatta.org, being set up from which those who are interested can access the planning documents. It features a great poster painted for us by Jill Bruce. Watch this space!